With summertime just around the corner, the city of Barcelona is gearing up for the masses of tourists who are sure to make their way to this popular Spanish hotspot during this sizzling season. Celebrations, festivals and the sunny beach make this city the perfect destination for a memorable Mediterranean summer. 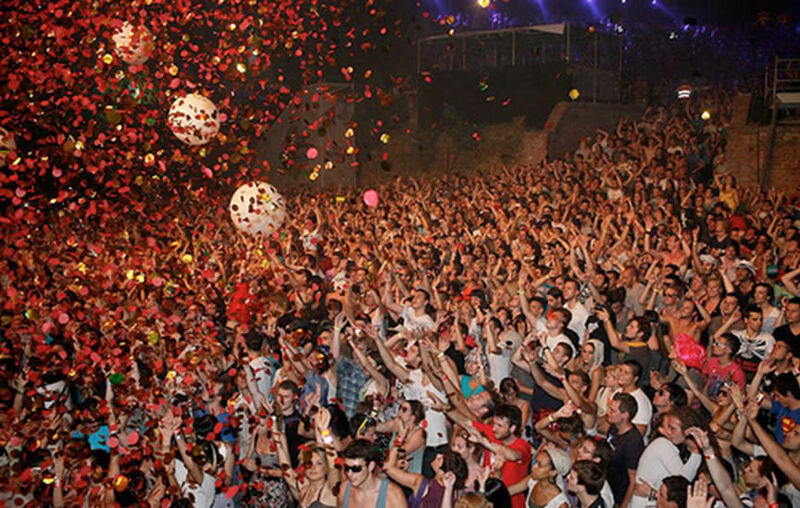 Check out a few of the biggest festivals taking place in Barcelona this year! 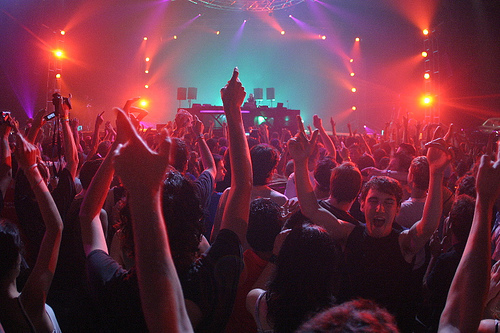 Primavera Sound Festival is the ultimate choice for any music lover! World renowned for its eclectic mix of artists from around the globe, this festival offers something for even the most selective “muso”. From underground beats to the more commercial pop and rock, this concert caters to every genre, and is sure to satisfy your musical palate. With famed band, The Cure, set to headline this year, alongside Franz Ferdinand and Washington natives, Death Cab for Cutie, this event is bound to be one for the history books. The 5-day festival, which runs from May 30th-June 3rd, is sprawled across two venues; Parc del Fòrum and Arc de Triomf, and visitors can purchase daily passes, or one that covers the entire event. For ticket pricing and more information visit the Primavera Sound Festival official website . Labeled one of Europe’s premie r electronic music and audiovisual art festivals, the Barcelona 19th International Festival of Advanced Music and Media Art, also known as Sonar, is sure to attract electronic music lovers from far and wide. This multimedia and music festival offers everything from techno and house music to experimental sounds. 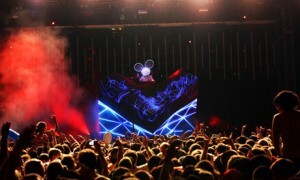 This year, it will play host to some of the best in the business including deadmau5, Fatboy Slim, The Roots and Die Antwoord. This three-day, non-stop festival kicks off on Thursday, June 14th and will run straight through until the 16th. During the daytime, you can enjoy the visual art aspect of the event with a taste of new-age electronic styles within films. Presenting electronic culture and its presence in music, movies and art, Sonar is more than a just a music festival. Ticket prices range from 39€ to 155€, with the latter being a pass for the entire event. For the full line-up and venue information, check out the Sonar Festival official website . 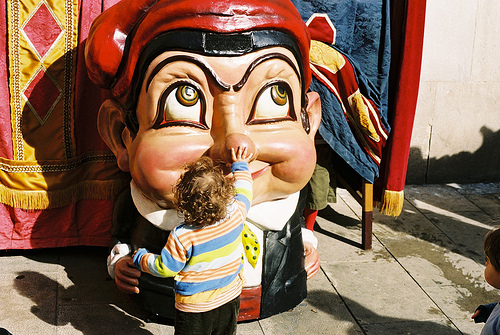 Barcelona GREC Festival is a month long event, running all the way through July 2012. The very first installment of this celebration was held in 1976, and features amazing acts in the fields of dance, theater, music and the circus. This annual affair transforms Barcelona into a showcase for some of the best stage arts, with both local and international performers making their way to the city. The main events will take place in the Teatre Grec, an open-air theater on the foothills of Montjuïc, allowing you and your friends or loved ones to soak in that Mediterranean sun while enjoying some of the best entertainment on display. With an eclectic mix of performers, the line-up is sure to please all age groups. Visit the GREC Festival website for more information on the various locations and ticket prices for the event. The festival is world renowned and should not be missed! To Christians the world over, August 15th marks the day that the Virgin Mary ascended into the heavens. To commemorate this holy event, the Spanish (and people all over the world) celebrate the grand feast of assumption. This day also marks the beginning of a week long celebration, the Festa Major de Gràcia, when this usually tranquil town is transformed into a live stage for exuberant artists and musicians alike. The festivities begin with a parade that starts in Plaza Rius I Taulet, where you can see some of the most elaborate gegants – giant carnival figures – and the famous human towers, known as castellers. During this fantastic fiesta, neighboring towns compete for the much sought after title of “best decorated street”, so be sure to expect a colorful and lively week of non-stop events. An illuminated sky will welcome you on the night of June 23rd, when the city of Barcelona honors Sant Joan (Saint John) as well as the summer solstice, marking the day with the most sunlight in Barcelona. 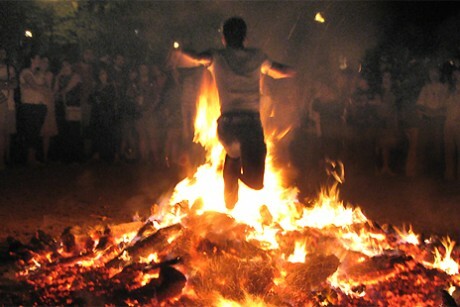 This event was considered to be one of the most important in the ancient times, and they chose to celebrate it with fire, which was symbolic of abundance, purity and fertility. To this day, fire and fireworks displays remain to be an integral part of this festival. Traditionally, it all begins with the lighting of the flame of Canigó, a holy mountain peak in the Pyrenees. From there, the flame spreads down to fire pits, bonfires and candles, proudly displayed all over the Catalonian regions. Some customary activities include fire-jumping, the burning of old possessions or writing notes with your wishes for the year and placing them into the flames. With Sant Joan-related celebrations all over the city, in both the streets and bars, one cannot miss this amazing night out. From musical mayhem to true Catalan culture, you are sure to find a festival that suits your needs this summer in Barcelona. With an endless array of fiestas and fêtes, your vacation in the Catalan capital will most definitely be an unforgettable one this season. You could even choose one of the many Barcelona beach apartments close to plenty of the venues listed above, and fill your eventful summer with sun, sand and, of course, celebrations! This entry was posted in Activities, Events and tagged barcelona activities, barcelona apartments, barcelona beach apartments, Barcelona culture, barcelona events, Barcelona festival, barcelona festivals, barcelona grec festival, barcelona music, primavera sound barcelona, sonar, summer in barcelona, summer nights. Bookmark the permalink.